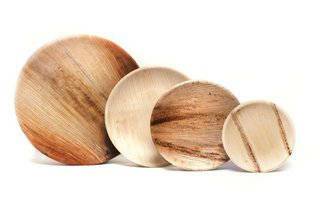 Disposable palm leaf plates by Eco-gecko are naturally beautiful dinnerware made from fallen palm leaves. 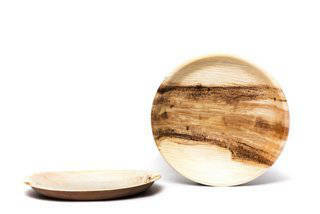 These wooden plates are engineered to be more than durable. With something this beautiful and this strong, you will be surprised that our disposable plates are designed for one use. 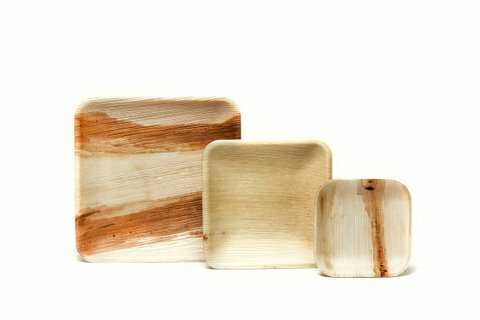 The natural beauty and strength of these palm leaf plates make them the perfect single-use tableware, suitable for any occasion. 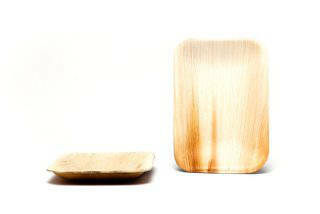 Our disposable wooden plates and bowls are green and mean... So go ahead and load them up! Our line of palm leaf tableware was designed to provide an eco-friendly alternative to the non-biodegrading disposable plates used for so many years in the food industry. It would be hard to find anything more eco-friendly than dinner plates and bowls made from fallen palm leaves which in the past were often collected and burned. 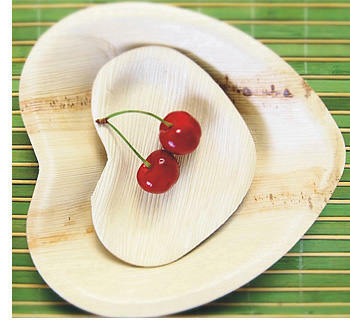 So not only does using this natural by-product from areca palm trees stop the senseless burning of a useful product, but it also serves as a biodegradable and compostable alternative to plastic and Styrofoam dinnerware. In addition to our palm leaf tableware, the boxes and cartons used to package our biodegradable and compostable cutlery, plates and bowls are made from recycled paper products. 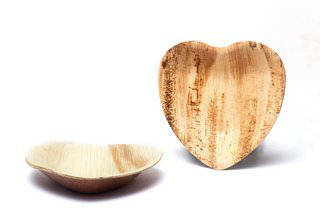 Geckos don’t leave footprints, and neither will you when you use wooden disposable cutlery by Eco-gecko. 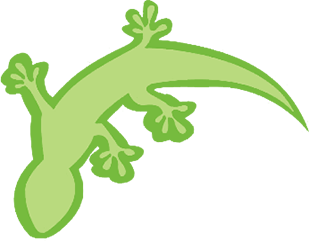 If you have any questions about Eco-gecko one-time-use palm leaf plates, you can check out our FAQ page, or get more information by contacting our helpful staff now.